Archipelago of Maddalena (arcipelago della Maddalena), Costa Smeralda Sardinia. There are two secrets to reveal something of the atmosphere of the Desert Rose or the lucky spot dedicated to the The Island that wasn’t there. The first is not to expect a full summer. 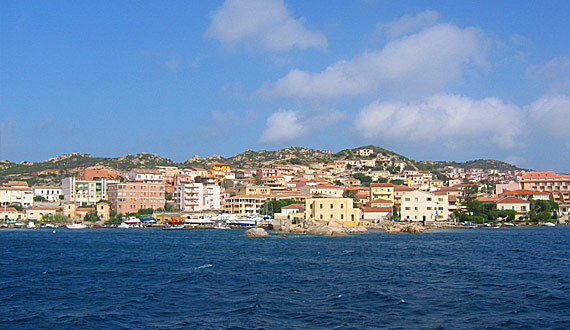 The second is to visit the Archipelago of Maddalena by sailing boat. Sailing signifies the reversing of the prospective. From the sea, the inlets are many in quantity and beauty and are accessible by swimming ashore once anchored nearby. Cala Gavetta, on Maddalena, is an excellent departing point for a cruise. From the bays of Stagno Torto, Nido d’Aquila and Cala Francese, in fact, is where some of the most characteristic sites of the Mediterranean coastline are concentrated. For snorkelling, Spalmatore is ideal, with pale sand, granite pink rocks, crystal sea and greenery of the Mediterranean mark. Allowing weather conditions, the next recommended stops are Cala Garibaldi and Stagnali, on the isle of Caprera. With wind permitting, you can disembark to head off to the White house of Garibaldi and the dolphin research centre, upon appointment, participating the dolphin watching excursions. To arrive at Razzoli you will need the calm of the Maestral winds. The most northern island, facing Bocche di Bonifacio, there are high rocks and jagged by profiles with bizarre nicknames, Pinocchio, Turtle, Loch ness Monster. The last stop of the cruise is Budelli, where you can immerse in the waters of the famous Spiaggia Rosa by following courses for diving and snorkelling. Divers can dive in the closed number fixed by the park, diving until the sandy depth to the grassland of Poseidon; here you can see the origin of Spiaggia Rosa. The small concentrations indented at the base of the algae, composed by a unicell organism, Miniacina miniacea, which finished its fallen cycle and ends in the river transported by the current.